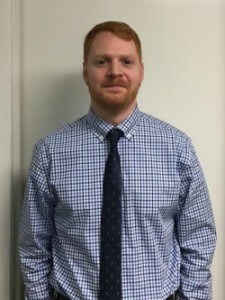 Avery Biomedical appoints Christopher Benedict as Patient Services Liaison - Avery Biomedical Devices, Inc.
Avery Biomedical Devices (ABD), manufacturer of the Avery Diaphragm Pacing System System, is pleased to announce the appointment of Christopher Benedict, as our Patient Services liaison. Chris has joined the Avery team to assist our customer service department in ensuring the needs of our patients are addressed. He has spent the last seven years working in the field of developmental disabilities before making the transition to Avery. “I am honored to be a part of the Avery team. I look forward to helping current patients in any capacity and spreading the word about the Avery Diaphragm Pacing System System to anybody who might be unaware of the benefits,” stated Chris. The Avery Diaphragm Pacing System System is the only diaphragm-pacing device with full pre-market approval from the US FDA and CE marking privileges under the European Active Implantable Medical Device Directive for adult and pediatric use. In addition, using small implanted radiofrequency receivers rather than electrode wires that pass directly through the skin may decrease a patient’s risk of infection and ongoing wound care management issues. Avery has been commercially distributing diaphragm pacing systems since the early 1970’s. Since then, more than 2,000 patients have been implanted in over 40 countries establishing an unsurpassed record of safety and reliability. If you know of a patient with quadriplegia, diaphragm paralysis, central sleep apnea, or other condition who could benefit from an Avery Diaphragm Pacing System, please contact us by mail, fax, or through our website.